Notes: 1840's - 1958. 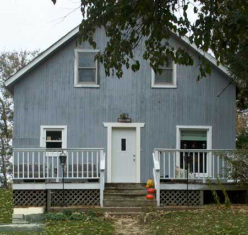 The first Nessa school was built of logs in the 1840s on Knudt Olson Nessa’s farm. It was located in the NW corner of the SW¼ of the NW¼ of Section 34. 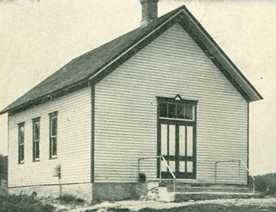 In 1870, a second school was built 20 rods south of the original school. The new school was made out of local stone. In 1908 the third Nessa School was built just north of the existing school, very near the site of the original 1840s school. It was a frame structured. 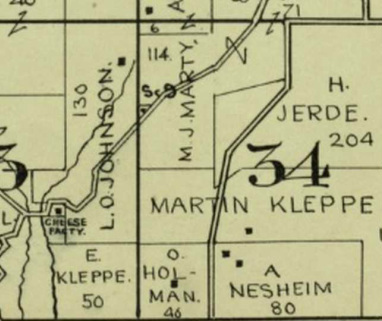 The Nessa School closed on July 1, 1958 and families in the area close to the Green County line became part of the New Glarus School District. In 2014 Nessa School was a private residence at 8706 Nessa Road.